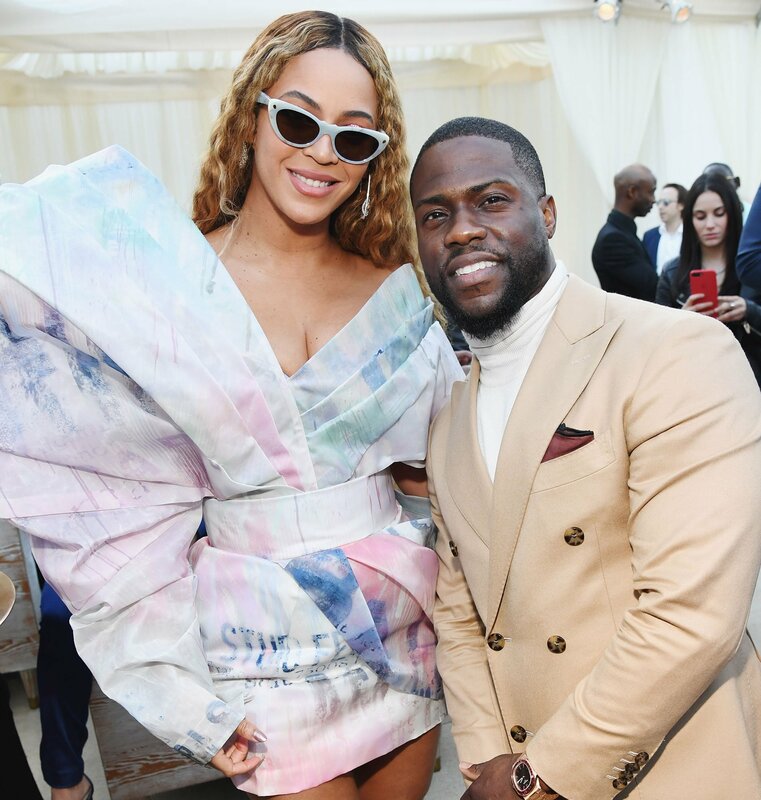 Beyoncé and Kevin Hart hang out at the 2019 Roc Nation THE BRUNCH ahead of the Grammys on Saturday in L.A.
Milo Ventimiglia spends Friday at Harvard University in Cambridge, Massachusetts, where the Hasty Pudding Theatricals troupe gave the This Is Us star a fancy bra to celebrate their man of the year. Maggie Gyllenhaal, Julia Garner, Kiki Layne, Nicola Glass and Sadie Sink make one stylish squad at the Kate Spade fashion show during New York Fashion Week at Cipriani 25 Broadway in New York City on Friday. Gwendoline Christie gets all dressed up on Thursday night to celebrate the launch of Pat McGrath Labs at Bergdorf Goodman in N.Y.C. Priyanka Chopra rocks a head-to-toe pattern on Wednesday during a visit to Good Morning America in N.Y.C. Taron Egerton and Emily Thomas go glam on Wednesday night for a pre-BAFTA dinner at Dunhill Bourdon House in London. Judge Simon Cowell arrives by scooter to the Britain’s Got Talent auditions in Manchester, England, on Wednesday. Rose McGowan flashes a peace sign during a walk around N.Y.C. on Wednesday. Country singer Cassadee Pope pops by Music Choice in New York City on Wednesday. Rita Moreno visits the Build Series to discuss the Netflix re-boot of the classic show One Day at a Time and the new production of the film West Side Story in N.Y.C. on Wednesday. Zoë Saldana and husband Marco Perego attend the amfAR gala dinner at the house of art collector Eugenio López in Mexico City, Mexico, on Tuesday. Timothée Chalamet sits courtside at the Detroit Pistons vs. New York Knicks game at Madison Square Garden on Tuesday in N.Y.C. Steven Yeun and John David Washington share the stage at the Virtuoso Awards presented by UGG during the 34th Santa Barbara International Film Festival in Santa Barbara, California, on Tuesday. Steve Carell takes off his Felonius Gru mask from the Minions movies as he presents the VES lifetime achievement award to CEO of Illumination Entertainment Chris Meledandri at the Beverly Hilton Hotel on Tuesday in Beverly Hills. Bradley Cooper joins Oprah at the PlayStation Theater in N.Y.C. during her SuperSoul Conversations event on Tuesday. Michael B. Jordan spends some quality time with his parents (not pictured) in N.Y.C. on Tuesday. Maisie Williams poses for a selfie with a group of students and promotes her social networking app for young artists, Daisie, at University of St Andrews in Scotland on Tuesday. Lizzo rips The Tonight Show Starring Jimmy Fallon stage on Tuesday in N.Y.C. Sarah Jessica Parker is seen running up and down stairs on the set of Divorce in N.Y.C.’s Harlem neighborhood on Tuesday. Kasey Musgraves gives an intimate performance at The GRAMMY Museum on Tuesday in Los Angeles. Emily Blunt and Emily Mortimer attend a special screening of To Dust in N.Y.C. on Tuesday at the Marlene Meyerson JCC. Lana Condor attends the Alita: Battle Angel premiere in L.A. on Tuesday. Chris Hemsworth is all smiles back home in Byron Bay, Australia, on Wednesday after spending the past few months filming his new Netflix movie Dhaka. Brie Larson snaps a few photos of her own from the front row of the Rodarte show on Tuesday at The Huntington Library in L.A.
Elizabeth Chambers Hammer and CEO of Bumble Whitney Wolfe Herd have a blast at the Frame and Bumble at Cloud 9 event on Tuesday in Aspen, Colorado. Rosie Huntington-Whiteley tucks a newspaper under her arm as she goes for a stroll in N.Y.C. on Tuesday. Claire Foy wears an LBD with a plunging neckline at the Variety Artisan’s Awards during the 34th Santa Barbara International Film Festival on Monday in Santa Barbara, California. Bob Odenkirk and BJ Novak smile together at AwesomenessTV’s special screening of Pen15 in L.A. on Tuesday. Bella Hadid poses at the Michael Kors Spring Campaign Launch during New York Fashion Week on Tuesday. 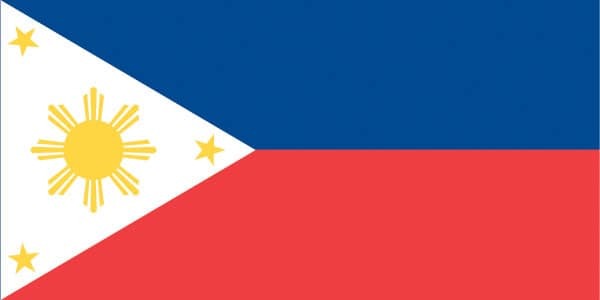 Miss Universe Catriona Gray of the Philippines stops by The Valentine’s Day Wonderland at Planet Hollywood Times Square on Tuesday in N.Y.C. Antonio Banderas attends the Teatro del Soho presentation in Madrid, Spain, on Wednesday. Carson Kressley looks dapper at the launch of Lilly Pulitzer’s limited-edition coffee table book with Assouline on Tuesday in N.Y.C. Rachel Bilson drinks Pure Leaf Herbal iced tea as she goes for a walk in the park in Los Angeles. Eva Longoria chats about her new series, Grand Hotel, at the Television Critics’ Association Winter Press Tour in L.A. on Tuesday. Scott Foley and Lauren Cohan share a laugh while promoting their show Whiskey Cavalier on Tuesday at ABC’s TCA panel in L.A.
Marisa Tomei and Tracee Ellis Ross get together on Tuesday at the Rodarte show at The Huntington Library in Los Angeles. Pink’s kids Willow and Jameson and husband Carey Hart join her on Tuesday as she’s honored with a star on the Hollywood Walk of Fame. Christie Brinkley flaunts her toned legs on Tuesday while dropping by SiriusXM studios in N.Y.C.